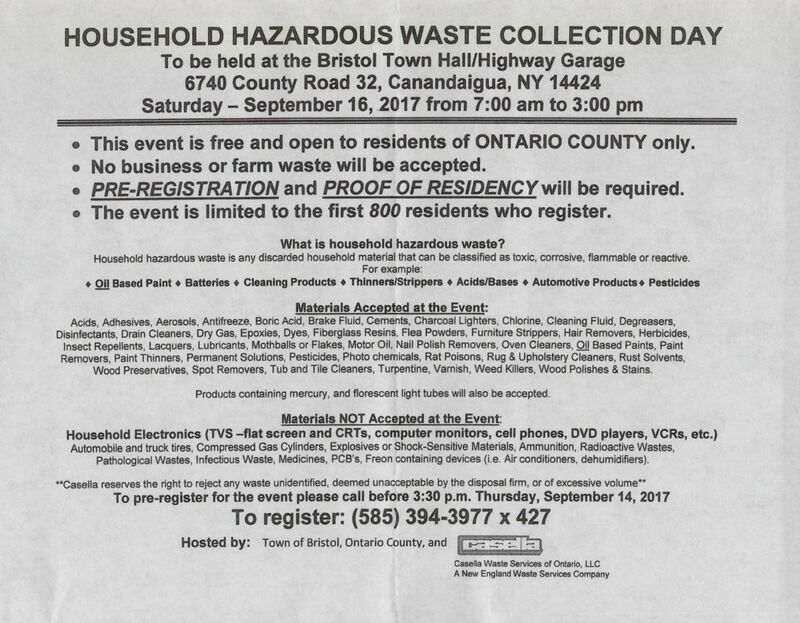 Household Hazardous Waste Collection Day will be on Saturday, September 16, 2017 from 7:00am to 3:00pm at the Bristol Town Hall/Highway Garage at 6740 County Road 32. This event is free and open to residents of Ontario County. Pre-Registration and Proof of Residency will be required and is limited to the first 800 residents who register. To pre-register, please call (585) 394-3977 x 427 before 3:30 pm on Thursday, September 14, 2017. For more information, please click here.